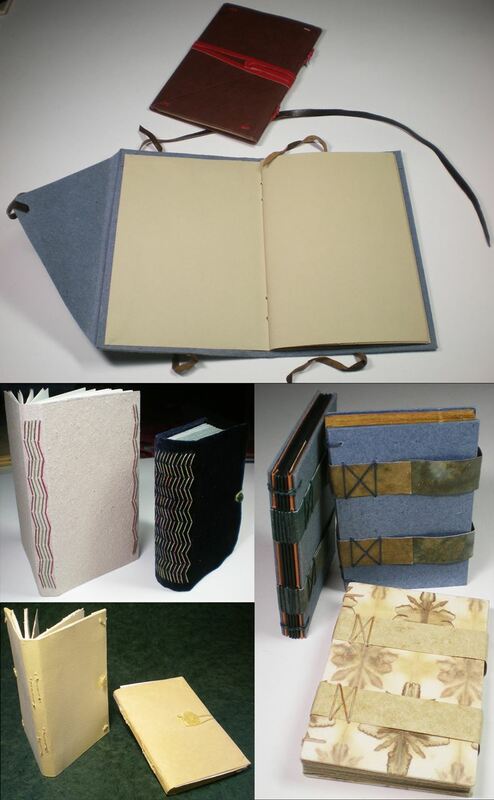 Hours: 10.00 a.m. – 2:00 p.m.
Over this four half-days workshop, we’ll make small non-adhesive books joined through the section folds to strong paper covers using thread, tawed skin, parchment, or leather. All structures will show the connecting materials on the spine. Tabbed, wound, tied, and button closures will finish the books.